DAVID LE/Staff Photo. 2/13/15. 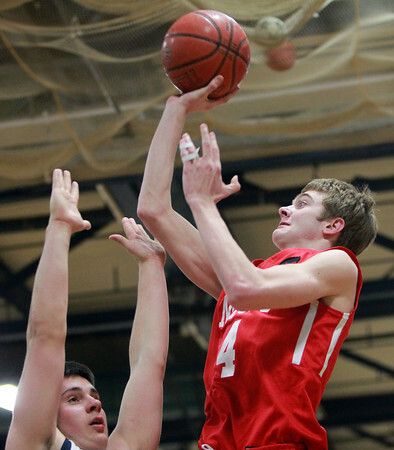 Masco junior forward Jackson Latimer (4) takes a jumper over a Hamilton-Wenham defender on Friday evening.